• Read aloud Matthew 5:38-42. What stands out to you in this passage? Why do you think Jesus is dramatic in his teaching on love and relationships? 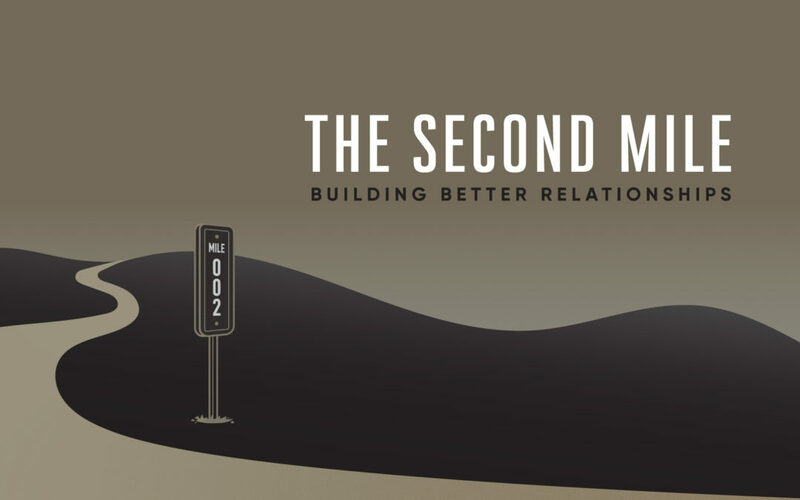 Describe someone who has cared for you with this “second mile” love that Jesus is commanding. • Read aloud Matthew 5:27-28. Why is Jesus so tough on adultery? What’s the difference between the root of sin and the fruit of sin? What does it mean to “look up someone to lust after them”? What’s the difference between sin and temptation? • Read aloud Matthew 5:29-30 and Mark 9:43-48. Would you rather give up: a hand, a foot, or an eye? Jesus is not actually encouraging self-mutilation, but he is using extreme language to make a point. Why does he speak in such dramatic terms? What does this have to do with the subject of holiness? • What is your chronic temptation, your “kryptonite”? Who knows you fight this temptation? What will happen if you give in to it? How concerned are you about it’s affect on your life? • What will it take to radically reduce your vulnerability to this chronic temptation? • Read aloud Ezekiel 36:25-27, Roman 6:1-12, 2 Corinthians 5:17-21, and 1 John 1:8-9. What do these passages say about who we are the core of our being? How can this help us escape the allure of sin? • Pray that you learn the teachings of Jesus, but even more importantly, that you practice them.